Dating a cop, and especially being married to a cop takes courage. Just as it takes a special and strong kind of person to be in law enforcement, it takes a certain someone to handle the pressures of being in a relationship with a man or woman who wears a badge. Knowing what to expect helps you better prepare to love your cop. Dating a cop is its own adventure. Ask yourself why it is that you want to seek someone out in this field in the first place. Some people get caught up in the old-fashioned "knight-on-a-white-horse" scenario and want to figure out how to date a cop in order to be "rescued" from the trials that they are facing. Though police officers are heroes, they are human too and the last thing that you can be in a relationship with them is too needy or clingy. They need an equally strong partner to support them. Check your level of independence. Though you will have to take care of many things on your because of the time your partner's job requires, you may also have to appeal to their "need to be needed." Those in law enforcement need to be especially careful about forming a relationship with someone who they feel the need to chase down or interrogate in order to be included in their life. Recognize the difference between the movies and real life. Almost everyone has grown up seeing shows that depict hard-nosed men and women leading exciting lives. Their day includes a car chase, bringing down the bad guys and then coming home to an equally exciting and passionate night with the one who waits at home. The truth is that, when dating a cop, some days are mediocre and boring, those that do mimic TV you may never even know about due to confidentiality requirements and after a long day, your lover will be tired like everyone else. Evaluate your patience and strength of character in the face of adversity. Plans could be canceled, evenings in could be spent with your lover thinking about cases and many nights will be spent worrying about his or her safe return from the job. There will be many times when your basic needs will be put on the back burner when dating a cop and you will have to live without what most consider standard relationship etiquette. Realize that not everyone is cut out to be in law enforcement and not everyone is cut out to be in a relationship with those that have chosen the career. Just as police officers are not always recognized for the work that they do, it is just as rare that you will receive any recognition for the part you play in being their "better half." 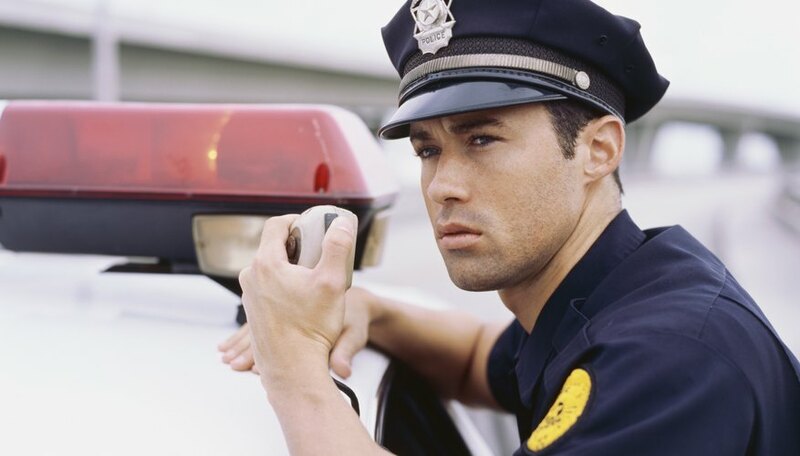 Figuring out how to date a cop is, in reality, as easy as pursuing any other person. The hard part is being completely honest with yourself in determining if you are of the right stock to pursue, capture and happily keep your cop in a relationship. Officer.com: You're A Cop, Dating. Now What? Scott, Rosallee. "How to Date a Cop." Dating Tips - Match.com, https://datingtips.match.com/date-cop-13443189.html. Accessed 22 April 2019.